I was in the mood to read a quickish cozy mystery and this one fit the bill. 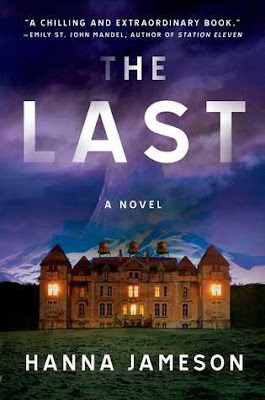 As always the cover and setting really pulled me in and made me want to read it. 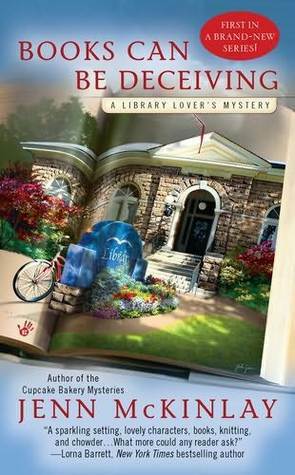 A librarian turns out to be the sleuth and all goes along fairly predicitably in order to solve the murder. The town here is populated with familiar standards and a delightful "crafternoon" group that meet and chat over their group book, knit and if they're lucky, have a bowl of some of the best chowder in town. The murder victim was a real piece of work and I admit that I didn't find myself so sad to see him go but the why of his murder was intriguing. Lindsey, the librarian puts the pieces together well enough but there are a few things she doesn't do which made me question her researcher skills. I can only suppose that her doing them would have solved the murder too soon and would have deprived us of her perilous audience with the murder to have the confession. The back of the book has a two recipes referenced in the book (Sully's Hot Chocolate & Mary's Clam Chowder) both of which I want to make as they're described as being all kinds of delish in the story. Also there's a knitting pattern for the hat Leslie was working on for her father during the Crafternoons. All in all, this delivered as a cozy mystery, I'm glad that I picked this one up at the library and I'll read the next in the series.